From spicy runouts to crowded brewpubs, the airy and comfortable Technician Shirt helps you keep your cool. Whether you're just cruising around town or going ground-up on a new route attempt, the Black Diamond Technician Shirt is designed for those who prioritize style. 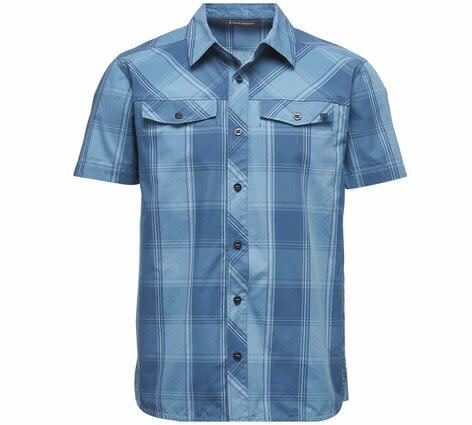 Classic button-up construction offers reliable comfort, and the gusseted underarm panels keep the shirt from pulling out of your harness on long reaches.